Official name: Tuitui Foo Fighter. read more about the phenomena called foo fighter. Date of birth: 22/02/10 (dd/mm/yy). - Champion (CH) in CFA, Cat Fanciers of Finland, March 2012. - One show result in FIFe: CAC, Nominated for Best in Show, November 2011. Foo has been spayed and lives as a dear pet with us. She has been an excellent mom for her two daughters "Vega" (CH Fizgeralt Medea Mercedes) and "Vera" (Fizgeralt Mea Macadamia). 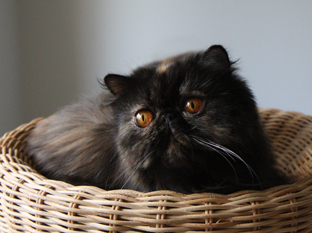 Character: Foo is a funny and happy little girl with eyes to die for. She has got the best characteristics of his Mom and Dad. She is playful like a kitten but the real lion when taking care of her kittens. part of Ode to the cat.